This piece will be presented in two parts. Part I focuses on devaluation and exports, specifically regional and sectoral policy biases that explain Ethiopia’s poor export performance. Part II will scrutinize Ethiopia’s trade data and highlight implications of devaluation for import prices. The later will be published next week. Ethiopia’s external trade position has rapidly deteriorated in recent years. In 2012, payments for imports exceeded receipts from exports by about $8.1 billion. In 2005 the deficit in commodities trade was $1.6 billion but this gap widened by two-fold by 2012, and reached about 7 percent of Ethiopia’s Gross Domestic Product. As such, the devaluation of birr alone may not improve Ethiopia’s troubles in external trade. If any improvement is to be made, authorities should first rein in the entrenched policy biases and power structures in Ethiopia that underlie poor export performance that is grossly overlooked in the World Bank report. The World Bank researchers acknowledge that they arrived at this recommendation after running an extremely simple theoretical analysis, which they then juxtaposed with Ethiopia’s trade data. Under this textbook approach, and leaving the economics jargon aside, devaluing birr means reducing its price in foreign exchange markets, where currencies are bought and sold like any other commodity. Reducing price of any commodity is bound to increase demand for it. So, after devaluation, demand for birr by foreigners is expected to increase. For instance, currently the official exchange rate for 1 USD is 19.745 birr. The recommended 10 percent devaluation would increase the quantity of birr offered per 1 USD to about 22. Since the ultimate need for the birr by foreigners is to purchase Ethiopian goods and services, the depreciation of the birr will immediately translate to making Ethiopian exports cheaper in USD (or any other foreign currency for that matter). For instance, in June 2014 Ethiopia was selling a ton of coffee at $4,360 but after devaluation the price will fall to $3,924. The faith in the effectiveness of devaluation as a means of promoting coffee exports follows from a belief that Ethiopia will become more competitive by lowering the price of its exports. The hope is that, if all goes well, coffee buyers may turn to Ethiopian coffee. When exports become cheaper, exporters may incur losses from a given quantity. But if larger quantity is sold then gains will more than compensate for losses incurred. So, devaluation is justified if lack of demand for Ethiopian exports is the only obstacle and there are no troubles on the supply side. However, Ethiopia does not have a stockpile of exportable commodity waiting to be sold. Still worse, there are entrenched policy biases against exportable products such as coffee and its producers raising concerns that export supplies may not increase in the near future. Thus, the most likely immediate effects of devaluation will be deterioration in revenues from a given quantity of available exports. The power imbalance between coffee exporters and coffee growers is such that most of the reduction in revenue will be directly passed to coffee farmers, who will be the ultimate victims. The World Bank seems to have grossly overlooked these most fundamental policy contexts. It is essential to examine in some detail the policy bias against export producing regions and sectors. Public investment decisions need to be based on potential returns. A dollar invested in resource rich region generates much larger returns and more quickly than if it is invested in resource poor regions. It pays to initially invest in resource rich regions, recover the returns and then worry about ways to subsidize poorer regions on equity considerations. After all, wealth has to be created before it can be distributed. Ethiopia’s ruling party has turned this logic upside down by adopting a lopsided development pattern whereby the government leads the private sector by example. There are strong complementarities between public and private investments. Ethiopia’s public investment is hugely concentrated in and around the capital Addis Ababa and a few selected regional centers such as Mekelle, Hawassa and Bahir Dar. The private sector have followed suit and most economic activities have gravitated to these centers. However, these rapidly growing urban centers make little, if any, contribution to Ethiopia’s commodity exports. On the other hand, resource rich areas, e.g., Oromia’s coffee growing regions, have received little attention in terms of public investments — giving private investors no incentives to move into such resource regions. To illustrate this point, let’s briefly contrast the economic fortunes of Jimma and Mekele cities. Jimma is located in the Oromia state, 335 kms southwest of Addis Ababa. Situated in coffee heartland, Jimma is Ethiopia’s economic nerve center. The bulk of Ethiopia’s coffee exports come from this region. However, the EPRDF regime has long abandoned the city and other nearby towns such as Agaro, relegating them to a status of decay. By government’s own statistics, between the last two censuses (1994 and 2007), the population of Jimma city grew by 2.8 percent per annum, far lower than the national average annual growth rate. Resource rich region such as Jimma were supposed to attract workers seeking employment opportunities. But since no effort has been made to create jobs and attract more talent, Jimma’s population saw only natural increments — the number of births exceeding deaths. By contrast, in 1994, Mekelle, the capital of Tigray state, had about the same level of population as Jimma. However, between 1994 and 2007, with an average annual growth rate three times Jimma’s (9.4 percent), Mekelle’s population more than doubled. The growth was largely a result of huge investments and job creations in Mekelle — people followed jobs and jobs followed people in a circular causation. A handful of early public investments were more than enough to trigger the town’s explosive growth. 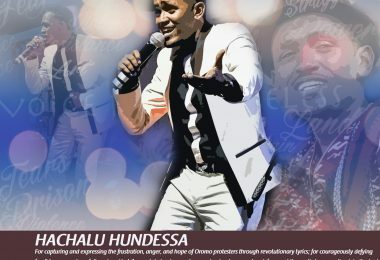 Mekele received colossal amounts by Ethiopian standard — an international airport, became a hub for a network of government-affiliated conglomerate called EFFORT, an expanded Mekelle University, and etc. Today, the economic boom in Tigray is so crucial that the Ethiopian Airlines maintains four daily flights between Mekelle and Addis Ababa. Ironically, unlike Jimma, Mekelle or Tigray do not make any contribution to Ethiopia’s exports. In other words, the return to Ethiopia from investing in Tigray is next to nothing. Sound economic development is accompanied by structural transformation, with a rising relative share of manufacturing. 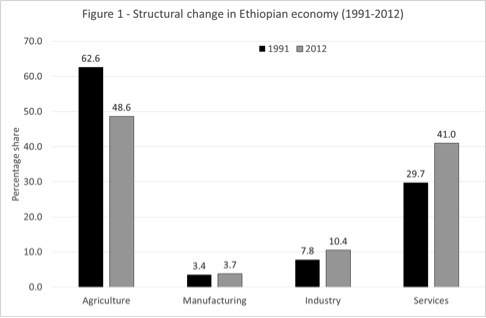 Figure 1 display structural transformation in the Ethiopian economy under the EPRDF regime. Between 1991 and 2012, the share of agriculture declined from 63 to 49 percent. However, share of manufacturing in GDP remained stuck at around 3.5 percent. In other words, Ethiopia’s much hyped economic miracle did not increase the relative share of manufacturing sector by even half a percentage point in more than two decades. 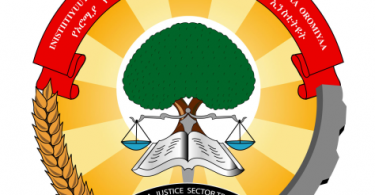 The EPRDF achieved an extremely shallow structural change. This led to the relative shrinkage of the commodity producing agricultural sector. In contrast, the share of the service sector expanded from 30 to 41 percent. The non-manufacturing industrial sector, which includes the state-run energy and telecommunication sectors, expanded only by about 2 percent. 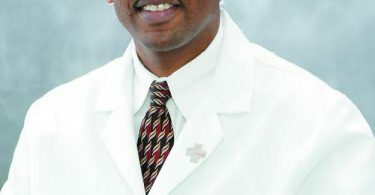 The bloating service sectors are almost entirely dominated by government owned businesses such as the Ethiopian Airlines and other service sectors such as the military where salary payments for civil servants are counted as part of GDP. These figures reveal the extent of inherent policy biases against production of tradable or exportable commodities in Ethiopian economy. EPRDF’s shoddy policies simply bypassed a transition from agriculture to manufacturing and directly entered a service-based economy. This means ignoring the role of agro-processing, e.g., value addition to coffee production rather than exporting raw beans. The EPRDF have move the economy consistently in undesirable direction — even the shallow structural transformation was accompanied by a relative shift from private to public ownership. The diminishing role of coffee in Ethiopia’s exports explains the situation. Given the policy bias against coffee producing regions in public investment allocation and the absence of incentives for private investors to grow or process coffee inside the country, the share of coffee in Ethiopia’s commodity exports plummeted from 65 percent in 1995 to 32 percent in 2012. Meanwhile, the share of cut flowers increased from zero to 6 percent during the same time. Ethiopian Airlines began to fill the gap in the foreign exchange revenues. 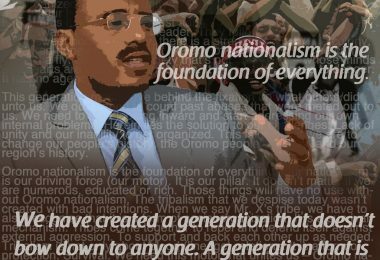 The recent dramatic structural changes in Ethiopia must be understood in its proper politico-economic context. The regional and sector biases are deeply rooted in Ethiopia’s simmering political tensions. Coffee is mostly grown in the Oromia region, a hotbed of political opposition to the EPRDF government. Therefore, both the regional and sectoral policy biases are part of the regime’s overall strategy to progressively weaken Oromia’s continued economic significance. The deliberate creation of a nexus of export enclave built on interdependencies between flower farming and Ethiopian Airlines is meant to destroy the livelihoods coffee farmers in Oromia and other resource rich regions. It is disturbing that the World Bank is now consciously or unknowingly caught up in this quagmire. It is hard to imagine their experts were unaware of the political machinations that underlie Ethiopia’s recent export sector developments. The cover of the Bank’s report bears wrapped up cut flowers. That’s not all. The authors shower praise on the regime for dramatically increasing the number of flower farms in less than a decade. 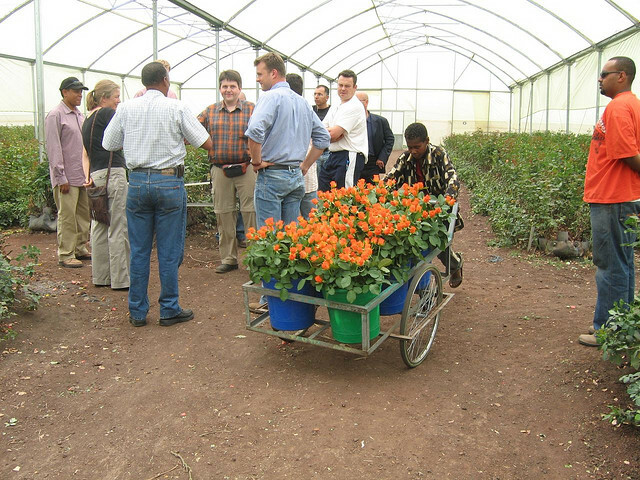 However, it is unclear to what extent they understood that those red roses were grown by destroying livelihoods of hundreds of thousands of Oromo farms that were forcibly evicted from their ancestral lands. The report contains a nod to jobs created by the flower farms but makes no mention of the jobs that were destroyed to create the farms. The process of job destruction and then creation was a negative-sum-game. The workers moved from sustainable organic family farms to unsustainable and chemical infested flower farms, exposing them to extremely damaging health hazards. The long term risks on the flower farms is not limited to human health but also the soil and wider environmental pollution, which will take hundreds of years to remove. Sustainable development, which World Bank advocates, stands on three legs: economic, social and environmental. And yet, the Bank’s mission to Ethiopia seems to recognize sustainability that stands on only one footing: economic gains to few elites. *The writer, J. Bonsa, is a regular OPride contributor and researcher-based in Asia. Cover image courtesy of Yigal Chamish via Flickr, used under the Creative Commons license.